What are David Icke’s sources and hard facts? Firstly, I’m just not going to read a stack of his books and watch hours of videos. I’ve perused some of his writings, and watched some videos. I’ve done some research. But all I’ve found are grandiose statements, idiosyncratic interpretations of things, implied symbolism, and “Well, you KNOW [insert extraordinary claim], so therefore [extraordinary claim].” Blurry images. “Because aliens.” Lots and lots of statements made without any concrete evidence. And every possible conspiracy all seems to get brought in as supposedly involved. Everything is connected to reptilians by some thin ethereal thread. And I’ve yet to hear from whence he has acquired all this “knowledge”. irstly, I’m just not going to read a stack of his books and watch hours of videos. Well the you can't comment with any certainty or authority on the question. Your post reminds me of Portillo on This Week when he said conspiracy theorist are intellectually lazy and then had to admit he had not read any of David Icke's books. He then tried to back track and said,"I wasn't referring to you David, thereby making himself look even more stupid because maybe Icke is intellectually lazy (not in my opinion) but how does Portillo know either way he's not read any of Icke's books. Just perusing a few of his videos is not enough to analyse the quality of someone' s research. I haven't read all his books either but don't attempt to analyse the quality of his work. The videos and books of his I have read suggests to me that on many things he probably is right. The videos he created about the power structures of London were very good. Even of not everything he said in the video was 100% accurate only a fool would believe the real power is at no 10 and that democracy is anything more than an illusion. Regardless of your views on it, look at Brexit and how the establishment have colluded together to prevent it. I’m just not going to read a stack of his books and watch hours of videos ... And I’ve yet to hear from whence he has acquired all this “knowledge”. I think you answered your own question there, son. You are right there chieftan. studies included in journals / magazines such as Nature, Nature's Scientific Reports, New Scientist, Fidelio, European Journal of Nutrition, National Geographic, Circulation, Physics World, Military Review and Cancer Epidemiology, Biomarkers and Prevention. The above list is just a few of the examples I could have given. Virtually every page of what is a 913 page book is full of sources for the information David Icke shares with the reader. And, given the breadth of the subject he covers, the sources that have been pulled together are so incredibly diverse and painstakingly researched. I really would recommend diving in, picking up one of his books and keeping an open mind. There is a problem there right off the bean. There was one woman surnamed O'Brien who gave a huge amount of testimony, but pretty obviously it was a load of garbage. No one now believes her. Her "first hand testimonies" were delusions or dreams or just publicity seeking inventions or something. They were along the lines of the Hoaxtead Hoax, where that old woman was sentenced to 10 years in prison for making things monstrous crimes such as MacDonald's selling burgers made of human babies. How much faith can you put in all the other "first hand testimonies"? On top of that he has met a lot of people and being a public figure he is no doubt approached by people or contacted by people so i'd imagine sometimes information finds its way to him. Then there are the life experiences that we have that allow us to see the world with different eyes. David has gone through various incarnations as a sportsman, TV presenter, journalist, green party activist and author. Yet after all the data and the experiences he has shared, only the people can begin to help themselves, if we all fail to help those who want to help themselves then we are lost as a species, we are what we create, not only what we talk, but what we do, and where we are going. The other path requires work, discipline and cooperation and that's a hard sell but yields longlasting benefits as you know! Indeed! I free'd my mnd by watching others hands at work, then I got to make my own hands, or as I normally say, One's Hand to eye coordination in the trim, you need both attributes to break away from an repressive paradigm, both must work together for the benefits and freedom to begin. All of the data Icke shares can also be detrimental and frighten folks into doing nothing, because the mountain of new ideas is far too great for the run of the mill individual to grasp,most can only deal with two problems at once, very few three, so it has to be taken slowly, much slower that one can read into it. You hit the nail on the head in saying it is the least desireable path to take, full of fear and risks, thus the hardest choice or sacrifice to make, but I can tell you from experience, it has to be done this way to succeed, from those who can do both, not simply point out how they have beed decieved. This has always been my message and true to its word. To me we cannot linger in this current system much longer, once the rubicon has past those in it will not outlive it, nor will their grandchildren, this alone tells us what we might be doing instead. Like David Icke, I have been experiencing periods of lucidness which make it possible to have ideas and thoughts I never had before. My interpretation of what is happening, however, may be a little different than Davids. There has been a lot of progress in quantum technology which now have scientist actually considering a possible external or global consciousness. If I am connected to an external consciousness possibly through a quantum field, then the experiences I share and receive from it are what create my reality. The possibilities that external consciousness provides me with experiences that lead to ideas and thoughts I never had before is exciting to me so I continue to encourage that connection. This quantum field of external consciousness may be interpreted as another realm as well. Now, I know there is something more to this quantum field then just an exchange of experiences, sometimes I call this "the wind" because I can see the results of what the wind has done but i never saw the wind itself. Sometimes I use the word Archon to describe this wind as well. The ideas and thoughts can be overwhelming and very spiritual, even though I am trying to remain objective about the ideas I have, the feeling of clarity is too strong to fight and I still find myself feeling "enlightened". Everyone has an individual interpretation of the experiences shared with external consciousness but can still develop the same ideas from their interpretation. I choose to see "the wind" as the results of other peoples interaction with external consciousness. This is where I need to slow down because I don't necessarily have the right words needed to share what I see, I am working on this which is why I signed on to this website. I want to share archon stories and write them as well, for fun, I am not a writer, but I enjoy the hell out of a good story. I made a topic Archon Stories and Writing on this site and I hope the more I can interact with other peoples interpretation of this other "realm" the better I will get at finding the right words needed to share the idea of external consciousness. It's not exactly as if David is on his own with his findings ..... 100's of researchers from Alex Jones , Alan Watt , Jordan Maxwell , Fritz Springmier and many more , have arrived at essentially the same conclusion .... Where David was ahead of the pack is in discovering the conspiracy is orchestrated by off world inter-dimensional "devils" (the reptillians) ... This extraordinary claim has been vindicated over the past decade by dozens of SSP whistleblowers , who have seen/worked with/fought with the reps off planet and in underground bases on Earth. These insiders have put these reps in the context of the ET community . They are just one group of particularly nasty ETs who have been messing with humanity for millennia, working through their human lackeys (Illuminati, rothschilds , royals) to try to enslave us all. "...Goode discussed his meeting with a White Royal Draco, the Draconian Reptilian leader, which took place in April 2015. This meeting with the 14 foot tall alien was very intimidating, according to Goode. When it was interfacing with me, its eyes were morphing the whole time. It was a very psychically powerful being. And it penetrated the frontal lobe. It was almost like there were microwaves or something shooting into the front of your frontal lobe. It was very invasive. And both Gonzales and I, for several days, at least three days, we had headaches. We were nauseated. Goode’s information has been corroborated recently by the remarkable testimony of William Tompkins, a serviceman who was assigned to a covert U.S. Navy program that involved spies embedded in Nazi Germany reporting back the developments within the Nazi’s top secret aerospace projects. Tompkins has supplied critical documents in his book, Selected by Extraterrestrials, that support his claims. In recent interviews on ExoNews TV, Tompkins confirmed that an agreement had indeed been reached between Adolph Hitler and Reptilian extraterrestrials. Tompkins was present when the Navy spies described learning about Reptilian consultants that helped German scientists develop sophisticated weapons and antigravity propulsion systems. Hitler, therefore, very likely participated in a similar meeting with a Royal White Draco as Goode experienced in 2015. What will the social order of the future be like? Comrade I will tell you. There will be a class of overlords, after them the rank and file of the party members in hierarchical order, and then the great mass of anonymous followers, servants and workers in perpetuity, and beneath them again all the conquered foreign races, the modern slaves. And over and above all these, will reign a new and exalted nobility of whom I cannot speak … but of all these plans the militant members will know nothing. The new man is living amongst us now! He is here. Isn’t that enough for you? I will tell you a secret. I have seen the new man. He is intrepid and cruel. I was afraid of him. Hitler’s meeting with the “superman” or ‘secret world leader’, if true, echoes Goode and Gonzales’ encounter with the Royal White Draco whose psychic abilities were very invasive and capable of inducing terror. Significantly, Hitler’s description outlines the hierarchical nature of the New World Order he was seeking to create with Germany’s secret space programs, which were ultimately under the leadership of this mysterious “superman” who was almost certainly the same Royal White Draco described by Goode. The Reptilians’ leader, the Royal White Draco, was therefore at the apex of power, ultimately controlling the Dark Fleet being built by the Nazis, and the fleet’s current interstellar imperial operations. Tompkins also reported that the Nazis had established secret bases in Antarctica as a result of their alliance with Reptilian extraterrestrials, confirming Goode again. Out of these Antarctic bases, the Nazi secret space program was launched, and later established a presence elsewhere in our solar system, and beyond. What I see with the all encompassing consciousness and reptillian model evolving, it is like another folly of man, another off and or On, world entity, as was the Jesus story, another bible in the making, another fantastic story, its simply not going to work, and in another two and a half thousand years, like the click of a sign of the zodiac period it will evolve from our minds again and again. If you look at what these everlasting stories have done, it tells me we have to stop imagining our own slavery by stories, stories that never actually proove or are of benefit those who believe in them, this is all they are, stupid stories that we can all live without. Question everything Yes, but when no answers but more questions arrise you must know its an invention of the minds of those who require you to fight yet another set of ideologies set in the future. Who gets to say one is a quantum scientist, like the Magi who came before them, it is merely another set of archetypical nonsense, another group of The Preists of Apollo. For me those who base their whole set of stories and or beleifs in this manner have already failed in my eyes. Conveyor of real truth. Evaded by many. How sad. Corey Goode is just one of many who skirt the UFO cash cow making money by spreading lies. Now .. like every other UFO group , they have totally embraced the new wave of information ... they all know who the reps are and what the SSP is ! 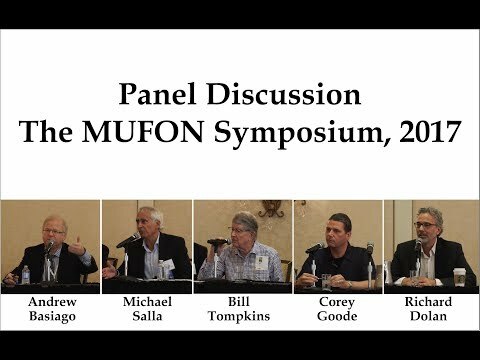 Management and members of the many UFO groups spend a lot of time studying their subject , so I suggest to you the way they have overwhelmingly embraced this new information is a very solid endorsement. So I need to "think outside of the box" do I? Your whole belief rests on the personal accounts of half a dozen people who share reasonably common claims. These people all have websites / paypal buttons / conference tickets for sale / books / t-shirts …….the whole shebang. What they do NOT have is one single solitary shred of evidence to support one single one of their totally mental claims. I don't give two hoots who has "embraced" your claims, I, and so should you or anyone, be looking at what they offer to verify them. That video was not childish, what a ludicrous thing to say! One of the big problems for the UFO community is that every year the number of people carrying cameras increases, and the number of UFO sightings goes down. Firstly, I’m just not going to read a stack of his books and watch hours of videos. I’ve perused some of his writings, and watched some videos. I’ve done some research. But all I’ve found are grandiose statements, Speed Test Scrabble Word Finder Solitaire idiosyncratic interpretations of things, implied symbolism, and “Well, you KNOW [insert extraordinary claim], so therefore [extraordinary claim].” Blurry images. “Because aliens.” Lots and lots of statements made without any concrete evidence. And every possible conspiracy all seems to get brought in as supposedly involved. Everything is connected to reptilians by some thin ethereal thread. And I’ve yet to hear from whence he has acquired all this “knowledge”. These sightings tend to go up the more holywood things get, and sightings quadruple after the block busting conjecture, the miracle might happen one day and be shown for what it is. maybe they are looking through the wrong lens? Not only that but what about Credo Muttwa? this is a close friend of Icke who claims he became gay after eating an alien. He is also know to have eaten the hand from a corpse to gain magical power. Seems very odd for somebody claiming to be the top zulu shaman. Credo claism that masonic rituals are very black and evil but this is a strange statement coming from a person with his sitory. More likely is that he says what he thinks others want to hear. I guess people will find it hard to follow a person who claims the world is run by reptilians but who has never seen one, despite telling people evidence is everywhere. The thing is that Hancock could be seeing a symbolic projection of an idea rather than seeing a reptilian being. The mind communicates via symbols and weird beings can be symbols too. Again, energy fields and reptilians, stuff that is hard to prove really, unless you are talking about energy fields that can be measured.